New Chip Technology for payment processing is here. The microchip embedded in the card encrypts customer’s data, which provides enhanced security against counterfeiting of lost or stolen cards. Enhance their experience with secure transactions. Chip technology will become the new card security standard by October 2015. What is an EMV Credit Card? In light of several recent major data breaches, you may have heard the term “EMV credit card” used in news reports. When it was created, EMV stood for Europay, MasterCard and Visa. It is a global standard for credit cards equipped with computer chips, as well as technology used to authenticate chip-card transactions. Simply put, this technology better protects consumers and makes it more difficult for people to counterfeit cards and commit fraudulent activities. What Makes EMV Cards Different? When you look at your credit card, if you see a small metallic square, that’s a computer chip and it is what makes the card an EMV card. The basic difference between traditional credit cards with magnetic stripes and EMV cards with computer chips is that the magnetic strip cards hold static data and the computer chipped EMV cards hold dynamic data. If the magnetic stripe card is compromised, the data can be used over and over again because it doesn’t change. This makes it easy for fraudsters to profit from stolen card holder data. For the EMV card computer chip, with each transaction, a unique transaction code is generated and cannot be used again. That means if the credit card data is stolen from a single sale or transaction, the next time it is used, the card would simply be denied because the transaction code is no longer valid. This makes it much more difficult for nefarious people to profit from stolen card holder data. 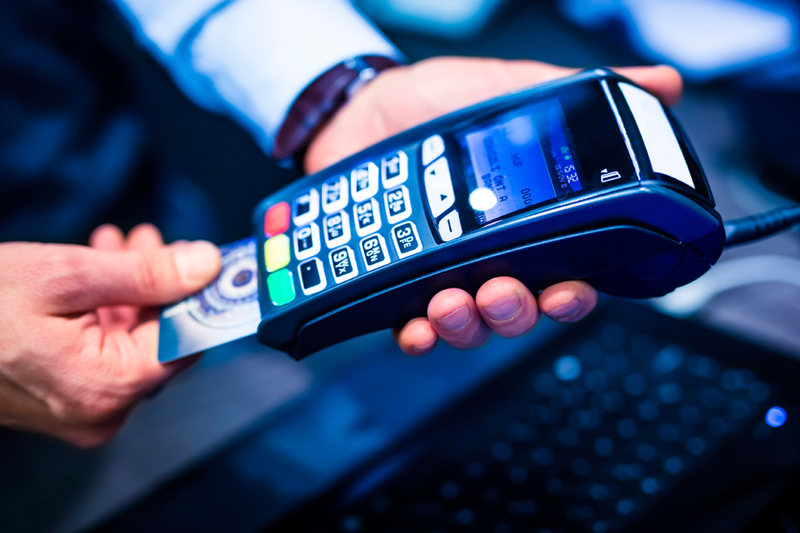 For merchants and financial institutions, the switch to EMV means adding new in-store technology and internal processing systems, as well as complying with new liability regulations. For consumers, the switch to EMV means receiving and activating new credit cards and learning new payment processes. The fundamental difference in the way the cards are used is with the magnetic stripe the consumer swipes the card through a terminal for the data to be read. With the new EMV cards, the consumer will “dip” the card in a terminal slot and wait for it to be processed. It is a little slower than the magnetic stripe swipe, so consumers will need to get accustomed to it. Technology also exists called “contactless card reading” where the consumer taps the card against a terminal scanner to be read. However this “contactless” technology is not as prevalent in the United States as of today. When is the EMV Shift Going to Happen? The shift to EMV technology has already started. This first issuance of EMV cards will have both technologies, magnetic stripe and the computer chip, but will ultimately transition to the computer chip only. The deadline set by major U.S. credit card issuers MasterCard, Visa, Discover and American Express is October 1, 2015. That doesn’t mean that EVERYONE is going to be transitioned by then, but what it does mean is that the fraud burden shifts on that date. Any parties not EMV-ready by October 2015 may face much higher costs in the event of a large data breach. Basically the liability will shift to whoever is the least EMV-compliant party in a fraudulent transaction.